NANAIMO, British Columbia - Creator of mainstream cannabidiol products, Dixie Botanicals Canada, is launching its CBD-only product line in Canada in partnership with Canadian extraction and formulation company Salvation Botanicals, Ltd.
Products will be available in a variety of delivery methods including liquids, capsules, and oral sprays. "This an incredible time for the Canadian cannabis industry," said Dixie Botanicals Canada president Michael Coleman. "We are excited to be making our mark on such a historic milestone by introducing products into such a burgeoning market. Dixie Botanicals Canada offers a collection of new and innovative products while consistently meeting their ever-growing customers' needs." 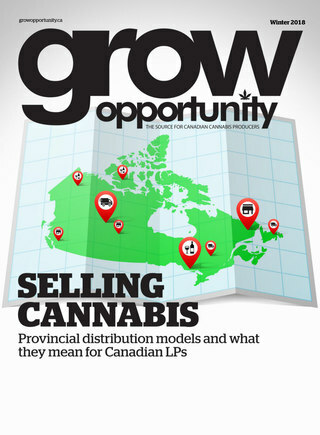 According to a recent report by Deloitte, the new legislation of recreational cannabis in Canada is expected to see consumers spend up to $7 billion on cannabis related products, exceeding Canadian liquor sales of $5 billion. The report also projected overall cannabis consumption to increase by up to 35 per cent. "This launch is a major milestone for both companies as we enter a new era for the Canadian cannabis industry," said Salvation Botanicals chief financial officer Rob McIntyre. "Dixie Botanicals Canada is a brand that values its customers and we look forward to introducing these new products to the market."